1492 was a great year for food. 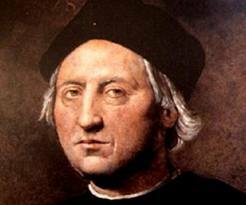 That was the year Native Americans discovered Christopher Columbus lost at sea. They fed him, made him wash his armpits, and gave him tomatoes. He eventually limped off home with the juicy red loot. At last, people all over Italy smacked their taste buds in delight. They named the precious new food pomodori, “apples of gold”. The best Italian invention of all time? Having made the felicitous invention of pizza, the Neapolitans found that planting tomatoes in the volcanic ash round the foot of Mount Vesuvius produced fruits delicious beyond anyone’s wildest dreams. The Sicilians got their hands on the precious pomodori and planted them around mount Etna, in among the almond trees, and the famous pistachio trees of Bronte at the foot of the great volcano. After that, the Mafia took control of them and made a fortune by taking a 1000 percent cut of the price. Ah, but I’m getting ahead of myself. Back to America. In 1550, the English explorer William Strickland decided to see what kind of tasty morsels he could grab from the New World. 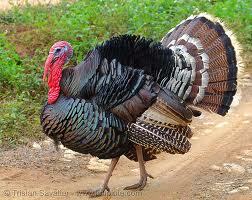 He came back with a few randy turkeys, set them breeding in England, and transformed Christmas dinner. We wish you a Merry Christmas? No? Alright then, Get stuffed. Later still, in 1584, the English Sir Walter Raleigh went to Virginia intending to colonise the place, but after a vicious and prolonged battle was eventually driven back and definitively routed by a swarm of 2,345,999 mosquitoes, each one weighing not less than 2 kilogrammes. One of the would-be colonists with him, a boy aged 9, actually died from the quantity of mosquito bites he received. 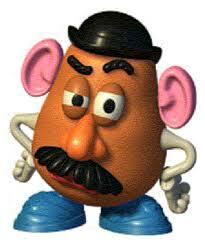 Yet quick-thinking Walter, before dashing back to his ships, managed to uproot a few potatoes and take them home. “I say!” exclaimed the English when he arrived back in Plymouth. 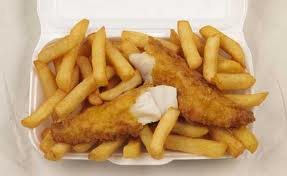 “Instead of eating fish and turnips all the time, let’s use these potatoes and have fish and chips instead.” And so the British national dish was born. Ah! Heaven on a plate. 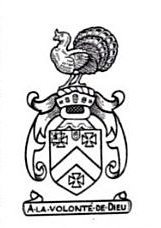 Sir Walter owned vast estates in the recently invaded territory of Ireland, and realised that spuds grow fabulously well there. Irish soil is hilly and full of rocks and tends to be perpetually drenched and soggy with rain. You cannot drag a plough up and down it, and so cannot grow wheat very well. Besides, many Irish people do not get on so well with wheat as it contains gluten. In some towns and villages in Ireland, one third of the population has celiac disease. They took to spuds like ducks to water, planted them all over Ireland and then, when the taters got wormy with potato blight, they decided to move to the Motherland Of The Potato to get some more. After that they all forgot to go home again. In researching this article, by the way, I found out that potatoes are not just lumps of starch, but are so nutritionally complete that the only nutrients they lack are vitamins A and D. If you add butter to a potato, you have complete nutrition and can live on them to the exclusion of all other foods. Sicilians were overjoyed with potatoes too. They invented “Pasta with mashed potato sauce” (yes, honestly) and also invented the use of potato chips (or French fries to you Americans) as a pizza topping; “Pizza alle patatine”. By the way, why on earth do you Americans call chips French Fries? Surely they should be called American Fries? Well, all of this naturally got me thinking, what the heck did Europeans eat before they raided America’s larder? It strikes me that the Italians were those most dramatically affected, by the arrival of the magnificent tomato. 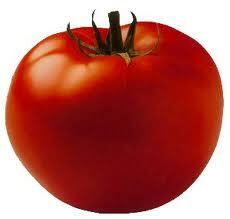 It is very difficult to think of anything much at all that Italians could have eaten without tomato. No lasagne, no spaghetti bolognese, no tomato and mozzarella salad, no minstrone soup…. really, what did they eat? Based on some research I have done, the answer is, almost nothing that they wished to remember. It seems that, once they finally had tomatoes to eat, they wanted to forget most of the horrible things they had previously been surviving on, as fast as possible. However, one of the few surviving recipes which they did continue to eat in Sicily, which goes back to early medieval times, was…. This is so easy to make that even I can do it. You get fresh pistachio nuts, not salted and not roasted. 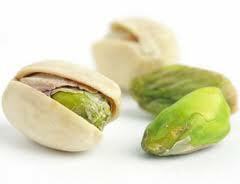 If pistachios are really expensive where you live, you can use some almonds in the mix. Put the nuts in a blender and whizz them up till they are basically powdered. Fresh pistachios, at last something tasty that doesn’t come from America! Put them in a bowl, add a tiny pinch of salt, pour fresh olive oil over them and stir. Use quite a lot of olive oil. Don’t worry: you will eat it raw, so it will be good for you. The finished pesto should be dense and sticky, but if it forms into blobs when you stir it, you need more oil. The Medieval Sicilians used to make this when pistachio nuts were in season, which is now, and use it all through the winter. The oil prevented the nuts growing mould. In Italy, the best pistachios of all are those from the town of Bronte. You serve this with spaghetti – other pasts shapes are not allowed! 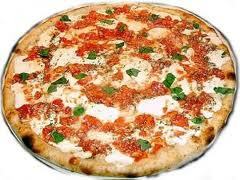 – and garnish it with lots of shredded fresh basil and mint leaves, and a little grated cheese if you wish. 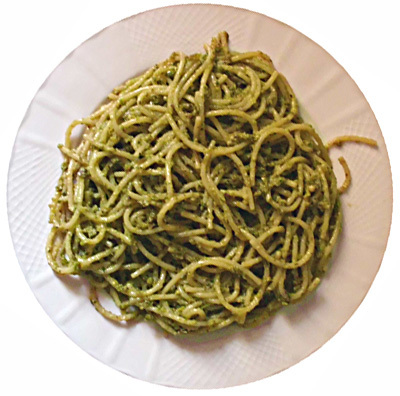 Do not heat up the pesto, just spoon it on as it is and stir thoroughly so it coats all the spaghetti. The proper Sicilian cheese to use is Pecorino, which is like a sweet version of Parmesan. I doubt you will find this delicious cheese outside Sicily, but it does not matter. This pesto is delicious with any cheese. Grated Cheddar, Monterey Jack, even little cubes of mozzarella. It is also delicious with no cheese and, perhaps, this is the best way to appreciate the taste of the nuts and the aromatic herbs. Another delicious way to serve this pesto involves adding prawns and… you guessed it, tomatoes! Once you have your pistachio and oil mix ready, start frying some prawns. You can add a little garlic if you like. If you were a real Sicilian you would send some of your 37 grandsons out prawn fishing in a rowing boat before dawn, and then shell enough prawns to feed your 107 relatives all raw, still alive in fact, by hand. Personally, I use frozen ones as I just love cutting corners. Look out! A Sicilian granny is about to grab you, rip your exoskeleton off and toss you into a pan of hot oil! When the prawns are pretty much done, throw some cherry tomatoes, cut in half, into the frying pan and cook them just enough to soften them and make a little juice ooze out. Then turn off the heat, tip in the pistachio pesto, and stir it through. You’ll notice I am being terribly enigmatic about quantities here. This is not just because I am too lazy to measure anything when I cook, it is also because you are supposed to decide what you like. 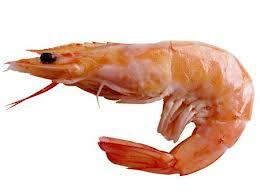 If you love prawns, use heaps of them. If you prefer tomatoes, use more of those. If you’re a garlic fiend, use a whole bulb of the stuff. The essence of Italian cuisine is leaving enough leeway for each family to get the balance of ingredients they like best. You are allowed to serve this with whatever shape pasta you like! You should set the pasta boiling when you start making the sauce, so that you can serve it as soon as the sauce is done. Fancy going to a Mafia Wedding? God Save us from Hallowe’en! Groan… first you had me laughing so hard and now I am listening to my tummy rumbling. Thanks… LOL! Btw, no kitchen is fully stocked without pecorino, and here you can find it any decently-sized supermarket. That’s interesting… I wonder why there is so much pecorino there. Are there Sicilians in Sweden? Any deperate fellows who have, perhaps, followed some blonde Swedish female tourist all the way home, in a mood of eternal randiness blended with ludicrous optimism? You absolutely make my day! This was hilarious. . . tomato. . . mmmmm. . . tasty! Valeria, honestly, your posts make my day! Tomato. . . mmmm. . . tasty! LOL!!! love it! what a beautiful thread….love the strickland story:) and I am so going to try the pesto recipe…mouth watering! food is a great subject of exploration in India…It is so varied in taste from one region to another…whenever I travel in India I make it a point to relish the local cuisine…always surprises us. On a similar thought process, stitching was brought to India by the invading Muslims of the Arab/Turk origin. Before that, Indians only wore woven fabrics in the form of wraps…hence traditional clothes like saris and dhotis. That’s really fascinating about the Arab influence on clothes in India. The ancient Romans also wore only draped and wrapped clothes – so now you’ve got me wondering who first introduced the idea of sewing clothes to Italy. 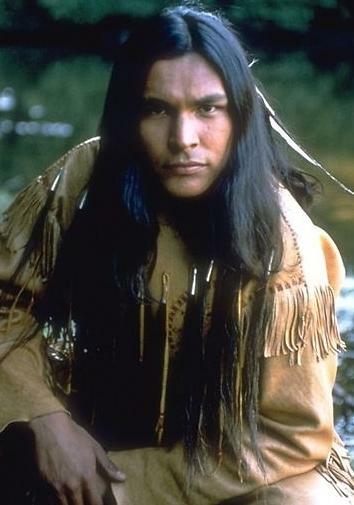 It was the Barbarians who invaded from the north. I probably shouldn’t say “barbarian” since I’m one of those 🙂 To the Romans it means Celts and other northern Europeans who invaded when the Roman Empire was in decline. I had a suspicion it may have been them, but I figured the Romans would not want to copy them since they considered them so… well… barbaric. They wore tartan trousers (the Scots still did till the 16th century, when they started wearing kilts instead) and shirts and thick cloaks. The Romans always paid huge amounts of money for the cloaks even back in the 1st century BC as they were really warm and good quality, ideal for wearing while busy invading Britain, for example! awesome 🙂 this is one interesting fact…thanks for digging it out and sharing. I now have all your blogs in one place. whenever I feel depressed I read one and bingo, depression is lifted. Many thanks. Loved your entry! But I think I can shed some light on what Italians ate on their pasta before the tomato came along … First, pasta was a high-class, expensive dish (dried pasta was exported from Sicily and there is a 13th century will of Genovese merchant that lists a chest full of dried pasta among his prized belongings). The most popular preparation was to cook the pasta in almond milk or rosewater until it was mushy and stir into it lots of butter, cheese, and spices, and sugar. And I mean a ton of cheese here – ricotta, or really fresh tuma (not salted or aged), just lots and lots. In the 18th and 19th century, you still have people who loved pasta with tons of cheese and butter on it, but both are expensive things, especially in the South, which exported so much of its food. However, the climate was just made for tomatoes – and anyone who has ever grown them knows that you will get positively flooded with the suckers. Once the plants start producing, you are drowning in them. Making sauce out of them is just natural. Voila! A way to feed your family! So tasty! Goes so well with garlic and basil! Heavenly when you dump a pig’s worth of pork products into and let it simmer into a rich ragout! And without any meat, completely within the bounds of Lenten dietary restrictions! That sounds delicious! And thank you for sharing this really interesting info. This history of pasta info here is fascinating! I am really surprised to learn that pasta was eaten all over the place, including the middle east and Asia, in the past. Vron, I had no idea you were blogging. How am I going to get any work done now?! Ha ha! Never mind work!!!! How’s it going anyway? Brilliant, You have captured the Sicilian life completely. I love the “37 grandsons out prawn fishing in a rowing boat before dawn, and then shell enough prawns to feed your 107 relatives” it is so true.